Teen pregnancy is never easy—especially not when extraterrestrials are involved. The first in a new trilogy. Elvie Nara was doing just fine in the year 2074. She had a great best friend, a dad she adored, and bright future working on the Ares Project on Mars. But then she had to get involved with sweet, gorgeous, dumb-as-a-brick Cole--and now she’s pregnant. Getting shipped off to the Hanover School for Expecting Teen Mothers was not how Elvie imagined spending her junior year, but she can go with the flow. That is, until a team of hot commandos hijacks the ship--and one of them turns out to be Cole. She hasn’t seen him since she told him she’s pregnant, and now he’s bursting into her new home to tell her that her teachers are aliens and want to use her unborn baby to repopulate their species? Nice try, buddy. You could have just called. 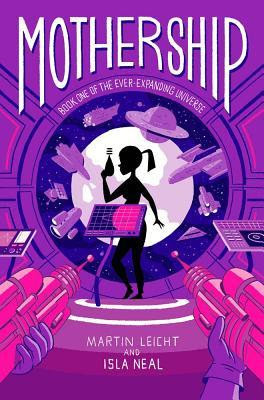 So fine, finding a way off this ship is priority number one, but first Elvie has to figure out how Cole ended up as a commando, work together with her arch-nemesis, and figure out if she even wants to be a mother--assuming they get back to Earth in one piece.